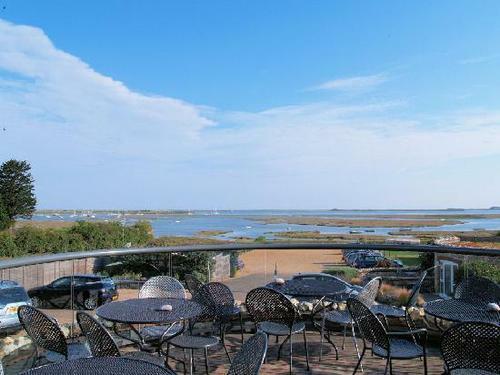 The White Horse Inn is perfectly situated on the marshland coastline of North Norfolk at Brancaster Staithe and the restaurant has views of the Norfolk Coastal Path and the tidal marsh beyond to Scolt Head Island. Pie Hunter recommendation for local ales, local seafood and produce. Pie Hunter and family visited the inn (pub, restaurant and hotel) for the second time to enjoy an early family Sunday lunch in March. 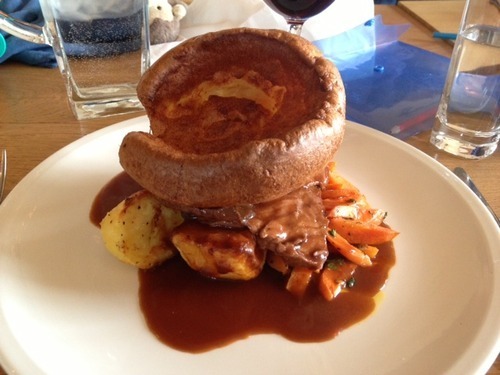 The highlight was a wonderful roast beef, perfectly cooked with a delicious gravy. It was washed down with a Woodfordes Wherry. Other East Anglian favourites on tap include Adnams Bitter and Fullers London Pride. For dinner, book ahead and secure a table by the window to watch the sunset or sit outside in the summer.